This summer the GQ staff attended the Texas A&M Balfour Communications Workshop where they won awards for writing, photography, video, design and issue design. The Geneva Quarterly, a student-led publication of Rhetoric School, serves to provide Geneva and surrounding communities with relevant and accurate news, opinions and entertainment centered around our student culture. Our staff strives to instill boldness, creativity and excellence in each reader through our published work. We aim to discover the truth laced through our community with integrity and to write all pieces from a Biblical worldview to the glory of Jesus Christ. The journalism department started in 2008, when headmaster Rob Shelton worked with two students to produce "The Geneagle Gazette." 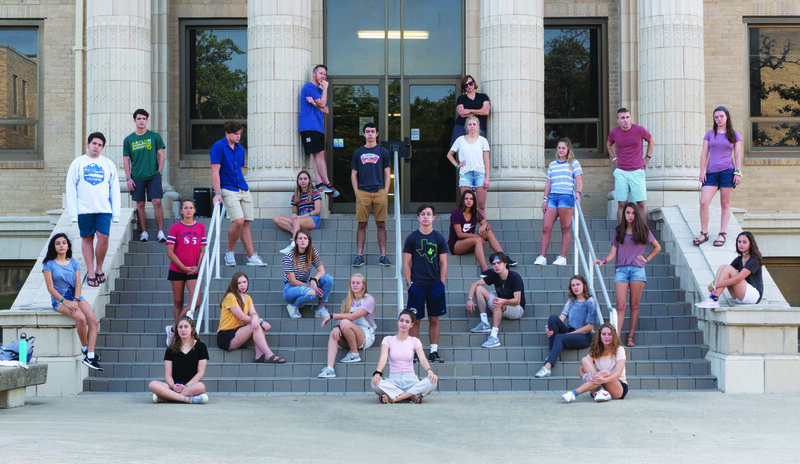 The following year a class was started by adviser Becky Ryden with ten students to create the first newspaper "The Muse." Winning multiple awards with Texas Association of Private and Parochial Schools (TAPPS) each year, the publication was off to a good start. In 2012, the staff put out the first literary magazine, "The Calliope." In the Fall of 2013, the staff decided to change the format of the newspaper to a magazine style, and "The Geneva Quarterly" became the new publication. The journalism class of 25 students and multiple student and faculty contributors have memberships with the Columbia Scholastic Press Association (Gold Medalist rating with all Columbian honors), National Scholastic Press Association (All American Rating with Marks of Distinction in every category) and Texas Interscholastic League Press Conference (Distinguished Merit). In 2016 and 2017 the magazine also won the coveted Crown Award with CSPA, obtaining one Silver and one Gold status. The Calliope, now in its seventh year, had an All American honor rating with Three Marks of Distinction with NSPA. Each year the students attend the Balfour Communications Workshop at Texas A&M and the editors attend the CSPA spring conference held at Columbia University in New York City.